The Water Safety Officer's primary duty within the Marine Safety Patrol is to enforce all laws of the State of Texas and the Water Safety act laws on all waterways in Jefferson County. 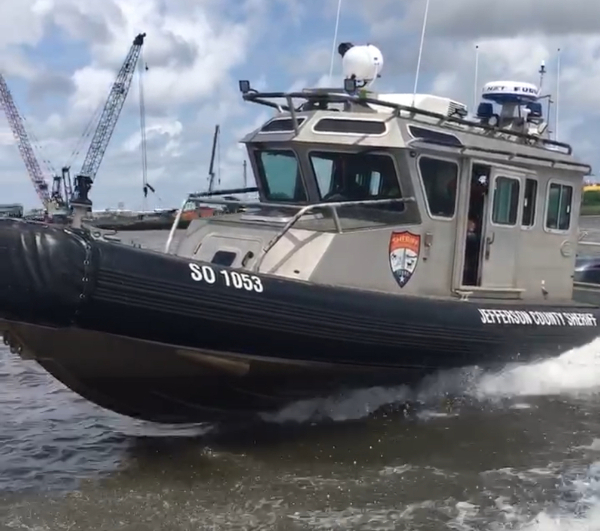 The Marine Safety Patrol is the law enforcement unit that is charged with the responsibility of patrolling the many waterways of Jefferson County. This division is comprised of certified deputies possessing the skills and knowledge of Water Safety Enforcement Laws within the State of Texas. The duties of the Marine Safety Patrol deputies are not limited to just boating safety but much other law enforcement duties as well. These deputies respond to all types of offenses such as but not limited to: boating accidents, boat thefts, drowning, and the search and recovery of property.